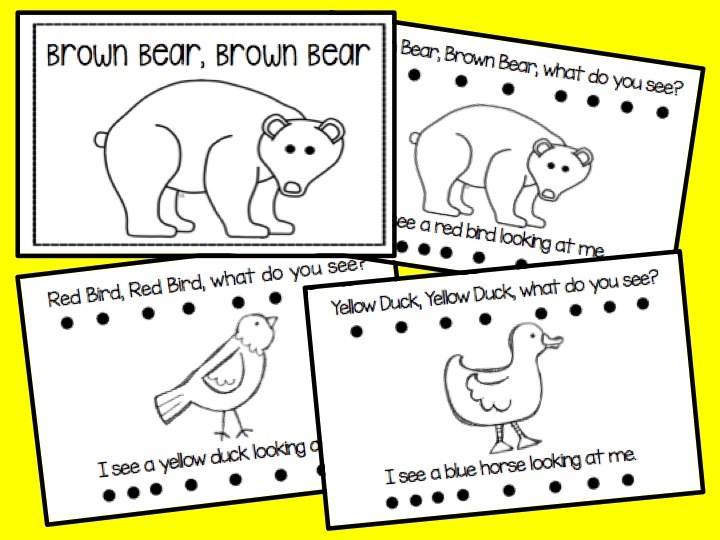 Who doesn't love the classic story Brown Bear, Brown Bear What Do You See? It is always a favorite amongst my students. The receptive language and the whimsical animals make it a must read at the beginning of the school year. I introduced this book to my class last week. Although some of my students were familiar with the book, the majority had never seen it before. They immediately caught on to the receptive language and were able to recite the story as I read. 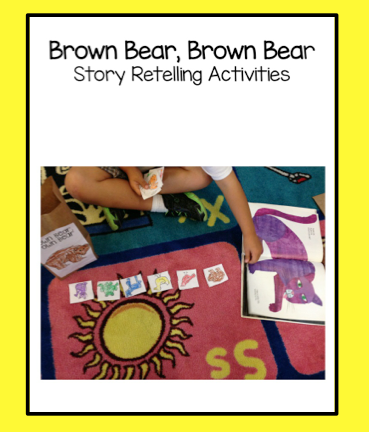 This story offers so many different teaching moments; retelling, sequencing, sight words, animal names and color identification, to name a few. 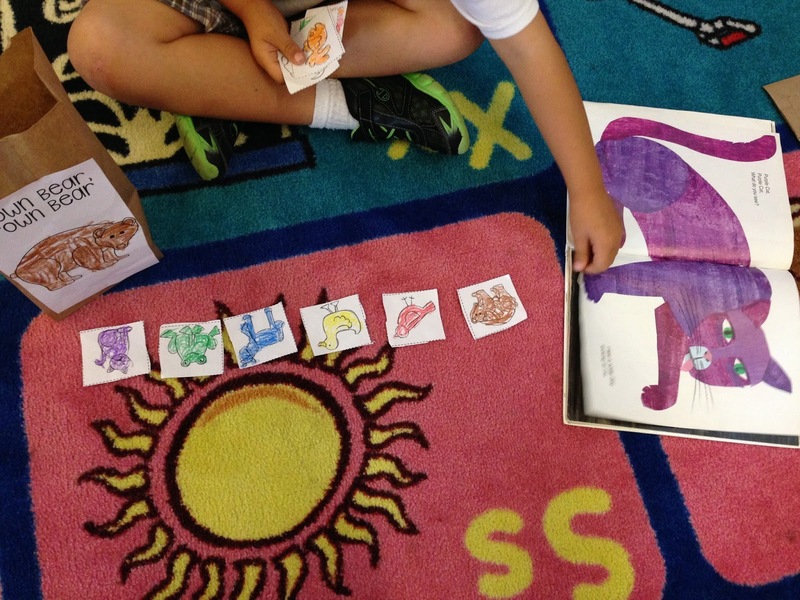 After reading the story a few times whole class than with partners, we worked on sequencing and retelling. 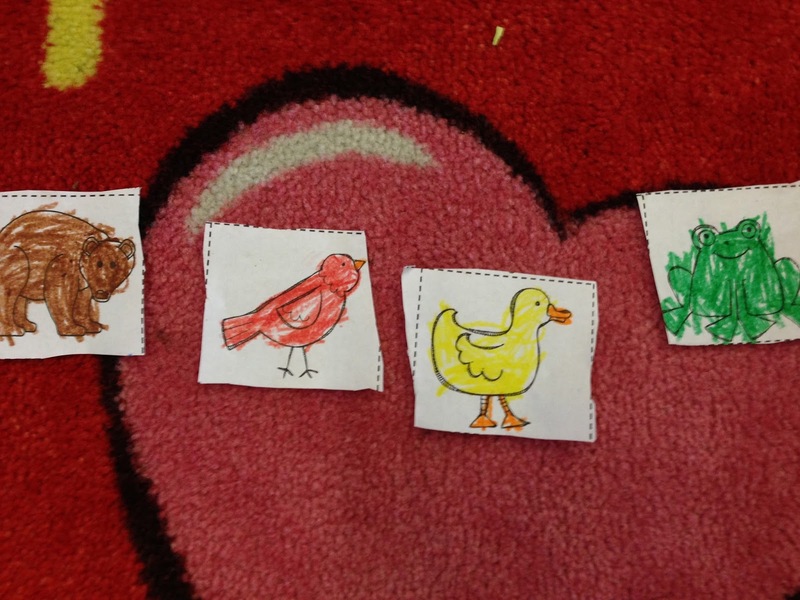 Using some picture cards for the pocket chart that I had made, we retold the story. My focus was on sequencing, but also description. I wanted my students to say not only the animal name, the color of the animal. We talked about how the author use color words to describe the animal. I also made my own student version of Brown Bear, so they could keep it in their reading Book Boxes. During our quiet reading time, they read the books we have made. Being that this book is easy to recite, the students feel successful as readers. Keep reading to grab your own copy of this book. Friday, we made a story retelling bag. As students had completed the project, they sat on the carpet retelling the story. A few students grabbed a copy of the book, so they could remember the character order. Our three sight words this coming week will be I, see, and a. This was a great way to introduce those three words. Now for your Freebie. Just click the picture. Lastly, I'll leave you with this video that is fun to sing along with. If this is still available, can i get a copy, please? Thank you for sharing! I am a first year teacher and all of the free resources I can find the better!